The study focused on an evaluation of the trade projects which trainee candidates were undertaking in TVET Institution. 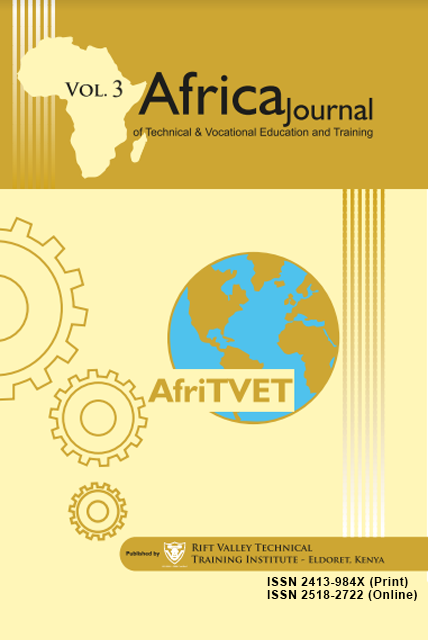 So far, there is limited literature available on investigations on how these student trade projects impacted on environment in TVET institutions. 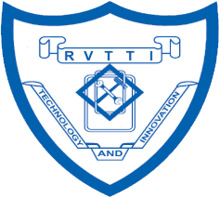 Due to debate on global warming and its impact on society, there is compulsion to establish whether managers of TVET really understood what this might mean for their institutions. The purpose of the study was therefore to evaluate the impact of student project designs on greening the environment in TVET institutions of North Rift Region of Kenya, and was guided by two objectives; to determine whether such projects were in compliance with public procurement and disposal act, and to examine whether projects supervisors put emphasis on projects environmental impact as required by National Environmental Management Authority (NEMA). Descriptive research design was employed, while questionnaires & observation methods were used for data collection. A sample of 102 projects that were done over a period of 5 years was selected using cluster and purposive sampling from 6 institutions in the North Rift Region of Kenya. Data was analyzed at confidence level of 95% by descriptive statics and inferential statistics. The findings indicate that student trade projects were not environmentally sensitive. Secondly, that majority of such project designs did not consider possibility of recyclability, disassembly or disposal after they were finished with them. Conclusions drawn from the research showed that most trainees’ trade projects did not consider the impact on the environmental in choosing their designs, and that the lecturers who supervised the projects did not put any emphasis on environmental sustainability – green designs & recyclability of the project materials. The recommendations were that every project done by trainees must seek to address its impact on the environment; that project supervisors should insist on the recyclability, waste disposal management and cost effectiveness of materials used; and that TVET Institutions should implement energy plan and install noise barriers and recycle most project materials to earn some income to enhance greening the institutions. It is also recommended for institutions to include student project in their audits as focal areas in their work plan activities. Alexander, S. (2008). Green hotels: opportunities and resources for success, zero. Wastle Alliance. Donaldson, T. P., & Lee, E. (1995). The stakeholder theory of the Corporation: Concepts, Evidence, and Implications. Academy of Management 20 (1): 71. Doi: 10.2307/258887. JSTOR 258887. Freeman, R. E., Harrison, J. S., Wicks, A. C., Parmar, B. L., & De Colle, S. (2010). Stakeholder theory, State of the Art. United States of America, New York: Cambridge University Press. www.cambridge.org. Gakungu, N. K., Gitau, A. N., Njoroge, B. N. K. & Kimani, M. W. (2012). Solid waste management in Kenya: A case study of public technical training institutions. ICASTOR Journal of Engineering, 5, (3). 127 – 138.
International Energy Agency. (2012). Emission from fuel consumption highlights. Paris: IEA Publications. Majumdar, S. (2007). Integrating sustainable development in TVET curriculum. Paper presented in the 11th UNESCO – APEID International Conference on “Reinventing Higher Education: Toward Participatory and Sustainable Development” Bangkok, Thailand. Majumdar, S. (2011). Developing a greening TVET framework. http://www.unevoc.unesco.org/fileadmin/user_upload/docs/Greening_TVET_Framework. Nassiuma, D. K. (2000). Survey and sampling methods. Nairobi: University of Nairobi press. NEMA.(2017). National environmental management authority regulations Nairobi.https://www .nema.go.ke/index.php?option=com content&view=article&id=135&Itemid=236. Otieno, T. (2010). Storm clouds of our solid waste may blow us away if we don’t act now. Daily Nation Newspaper, 25 October 2010. UNESCO. (2014). Roadmap for implementing the global action programme on education for sustainable development. Paris: UNESCO.